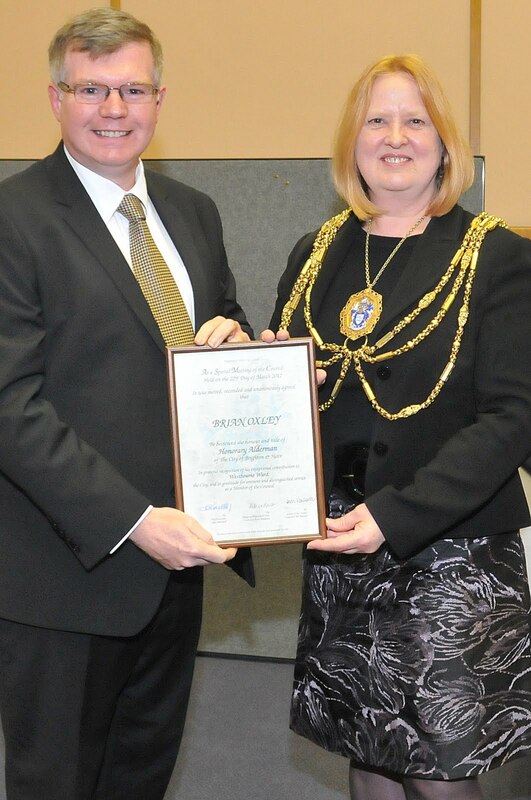 Brian Oxley, former councillor and leader of the City Council in 2007/08, has been made an Honorary Alderman of Brighton and Hove. After sixteen years of service as a councillor, Brian stepped down in the autumn of last year in order to take care of his elderly father. The award was presented at a special meeting of Brighton and Hove City Council, following a unanimous all parties vote by his former colleagues. The current council leader, Green councillor Bill Randall praised Brian Oxley’s hard work and dedication saying “I always found him a worthy well-versed and knowledgeable opponent with a very sharp political mind. Brian has always been immensely well mannered and fair.” Praise for Brian Oxley’s work also came from Conservative group leader Geoffrey Theobald, and Labour group leader Gill Mitchell.